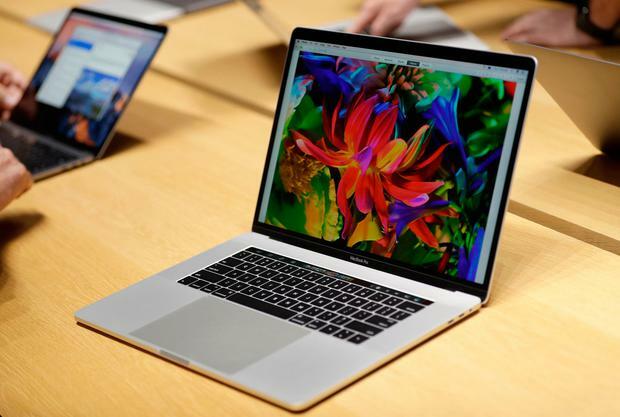 Apple unveiled a revamped MacBook Pro, adding a fingerprint reader, replacing function keys with a small touch screen and raising prices by several hundred dollars. The first redesign in several years is a sign Apple still sees a role for the product that launched the company, even though its iPhone has become the flagship product. Ben Bajarin, an analyst at Creative Strategies, described the changes as "important incremental upgrades" which would convince people with old Macs to trade up to the smaller, faster model. But he noted that Microsoft Corp's competing Surface notebook allowed touch on its main screen. "A lot of people spend a lot of time on these machines. The key for them is incremental innovations that make their job easier," said Bajarin. "That's value." The new pricing is roughly line with expectations, Bajarin said, but it surprised some. On Twitter, many potential buyers were underwhelmed by the new features and posted pictures of people crying about the new prices. Others tweeted that they hoped for more products. Apple shares fell 1.2 percent. Customers will be able to access the new machines with Touch ID, the fingerprint reader also used on iPhones, and use the touch screen bar of keys, called the Touch Bar, to control programs on the main screen. The buttons, which change depending on what programs the user is running, effectively act as a second screen, showing older versions of a picture being edited, for example. Other computer makers have chosen to use touch screens for the main display screen, including Microsoft's first-ever desktop and a revamped Surface Book laptop, launched on Wednesday. The MacBook Pro with Touch ID, Touch Bar and a 13-inch screen will start at $1,799, compared with $1,299 for the previous 13-inch product. Apple also will offer a 13-inch MacBook Pro without the Touch ID and Touch Bar for $1,499. 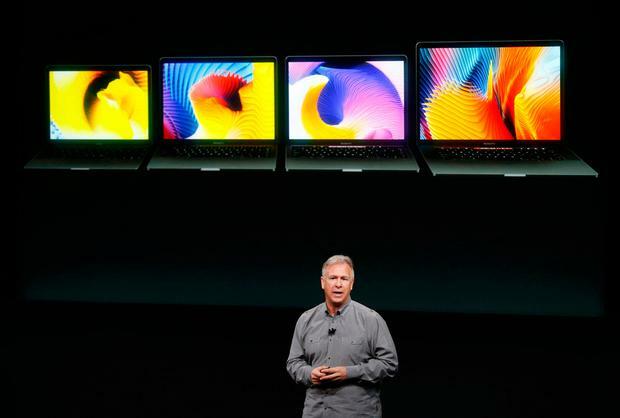 The 15-inch notebook will start at $2,399, compared with $1,999 for the previous version. The Mac line accounted for about 11 percent of Apple sales in the just-finished fiscal year, with the number of machines sold down by 10 percent to 18.5 million. Apple has steadily upgraded components to the MacBook Pro, but the overall form has changed little, and PC Week described the unit being replaced as a "fossil" which had not had a major design change since 2013. Apple also announced a new TV App that would work on Apple TV, iPhone and iPad products, in an effort to make it easier to tune into programs across devices. The company also said that it would integrate Twitter Inc feeds into live sports games on Apple TV, adding a social element to the product.